Explanation: This dramatic skyscape was recorded during the August 2008 total solar eclipse. 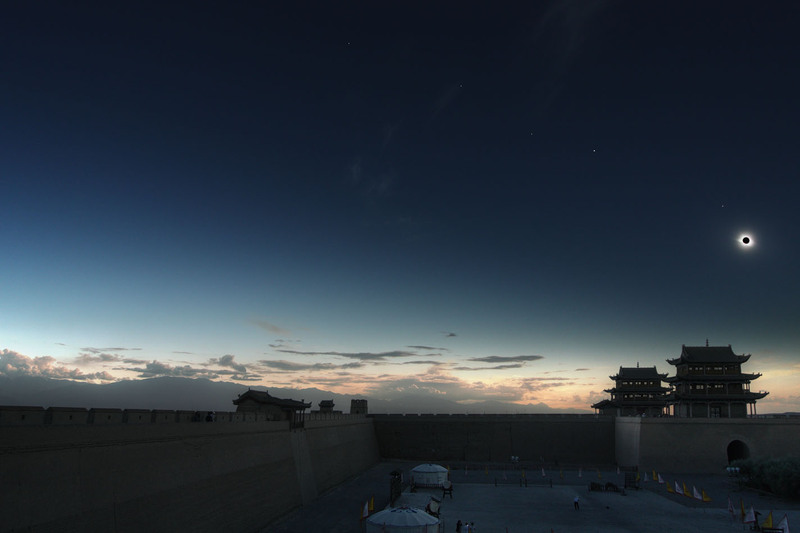 The Moon's silhouette surrounded by a glistening solar corona hangs above the Jiayuguan Fort along the western edge of the Great Wall of China. Lined-up along the ecliptic plane, all the planets of the inner solar system, Mercury, Venus, Mars, (and Earth!) can also be seen along with Saturn and bright star Regulus, as the Moon's shadow tracks across the landscape. Beyond the Moon's shadow, outside the total eclipse track, sunlight still brightens the sky over mountains on the horizon 30 - 50 kilometers away. Much anticipated, the 2009 July 22nd total solar eclipse will again be visible from China. 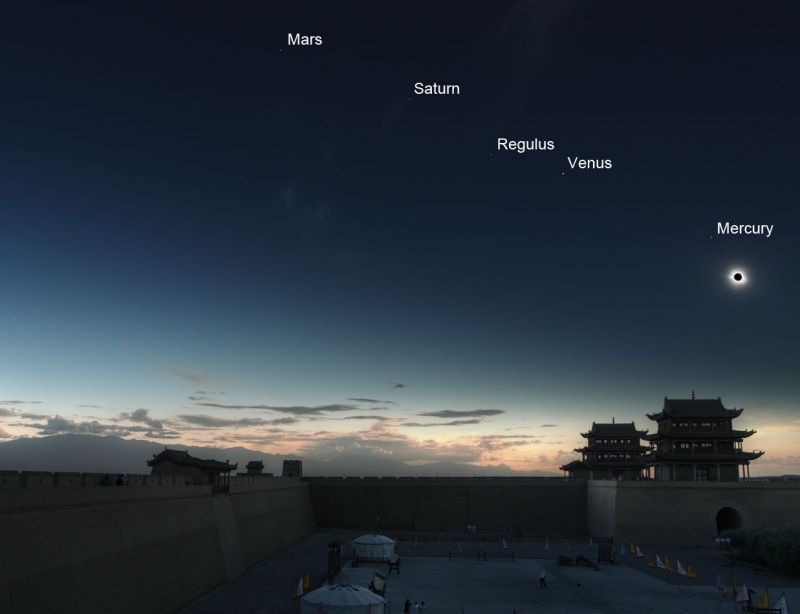 Planets and bright stars will briefly appear in darkened daytime skies, though a total eclipse won't be seen from the Great Wall. Still, major cities and populated areas lie along the 2009 total eclipse track that begins in India and sweeps eastward across Asia and into the Pacific Ocean.